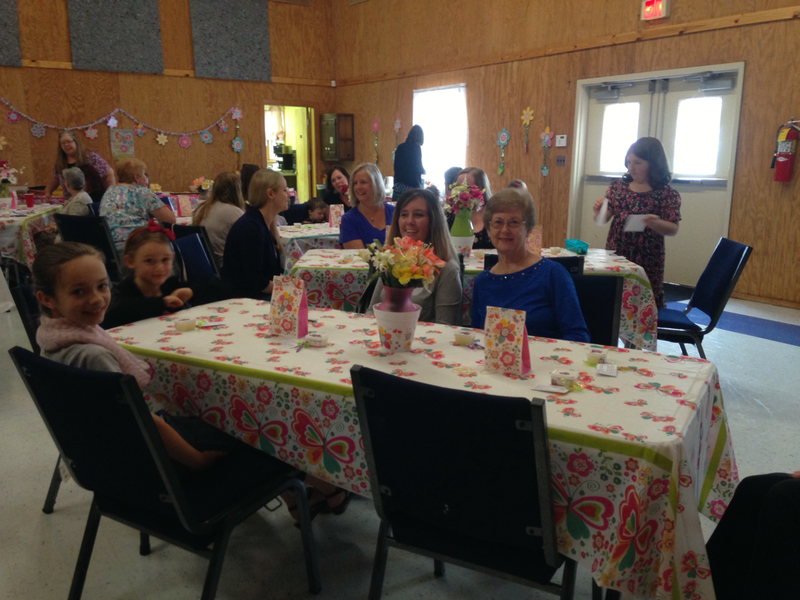 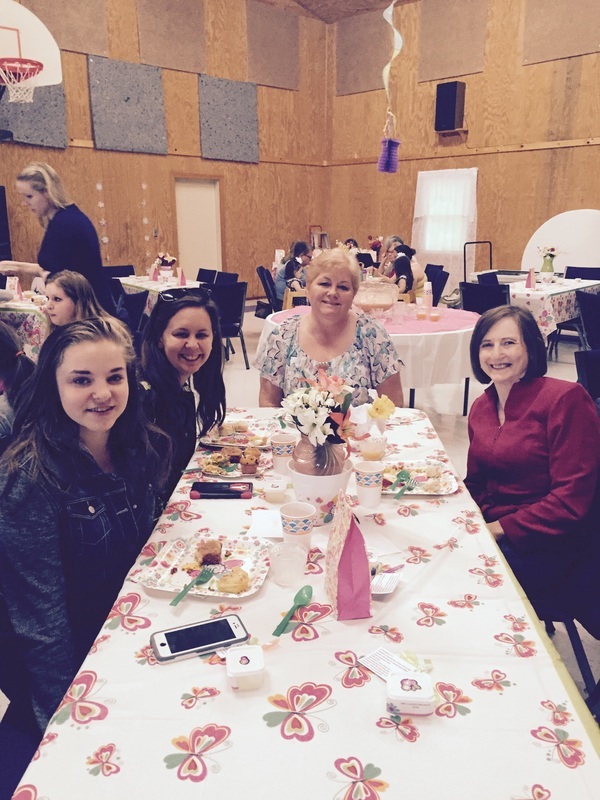 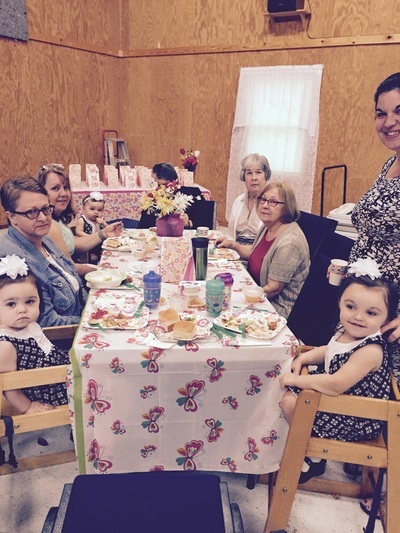 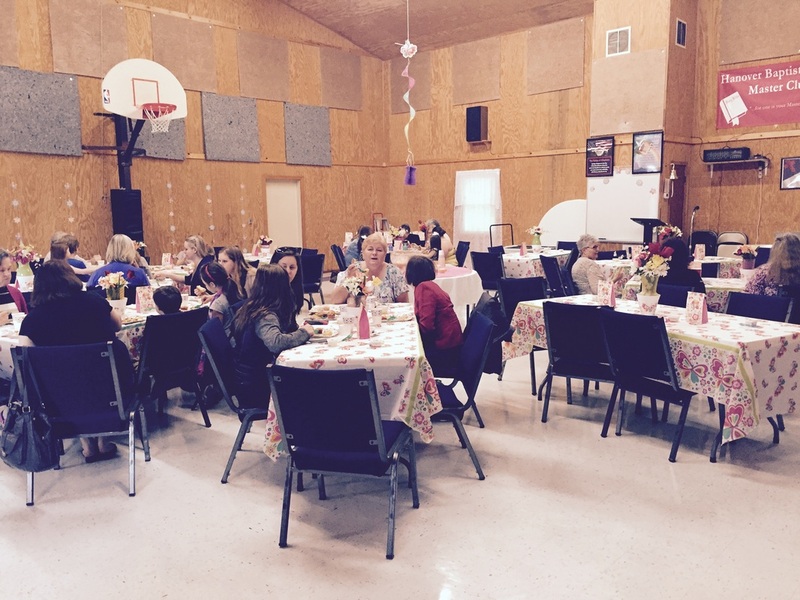 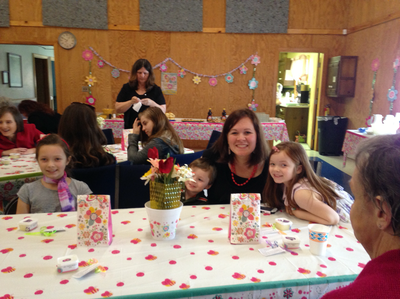 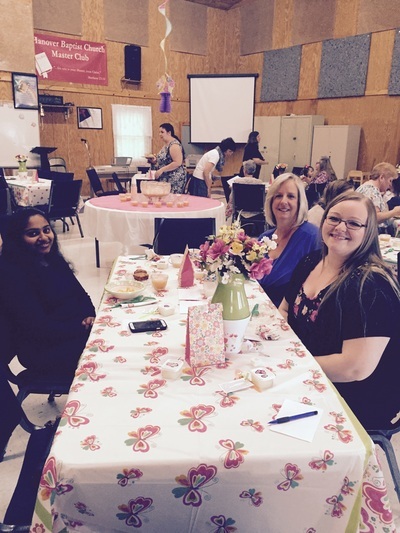 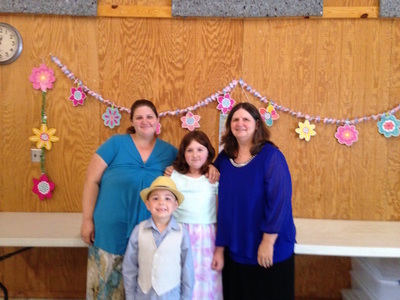 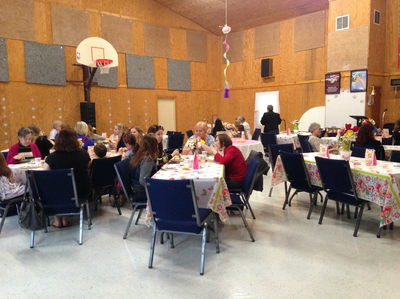 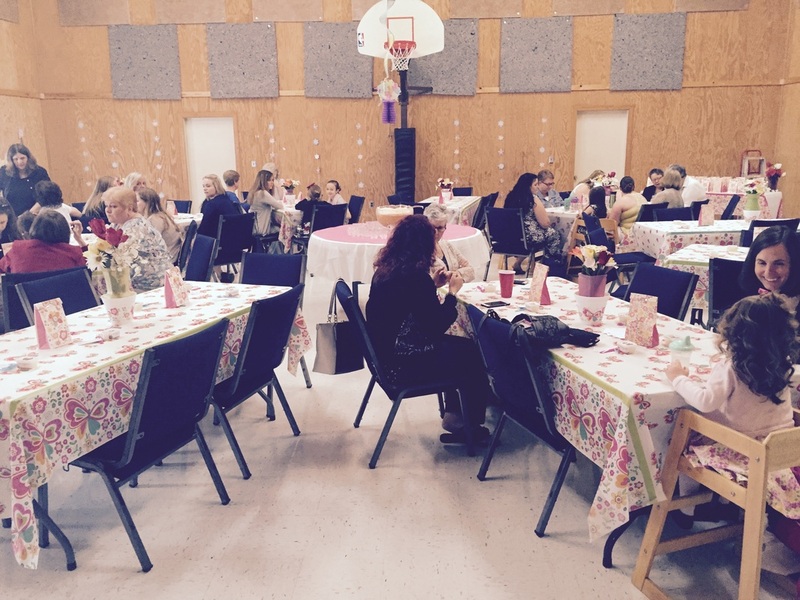 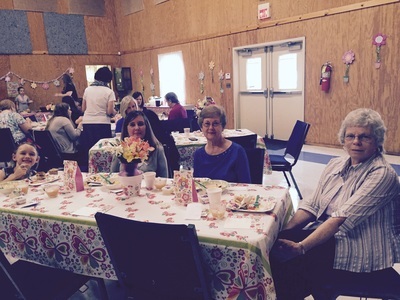 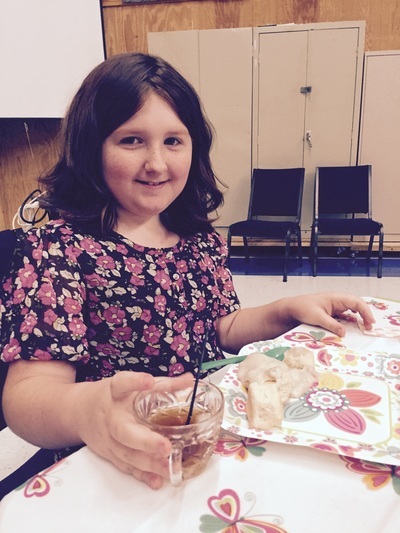 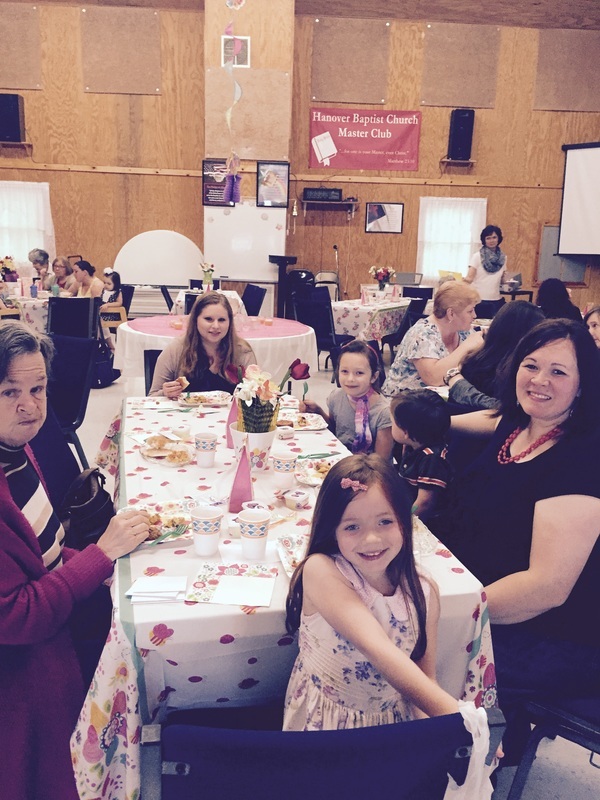 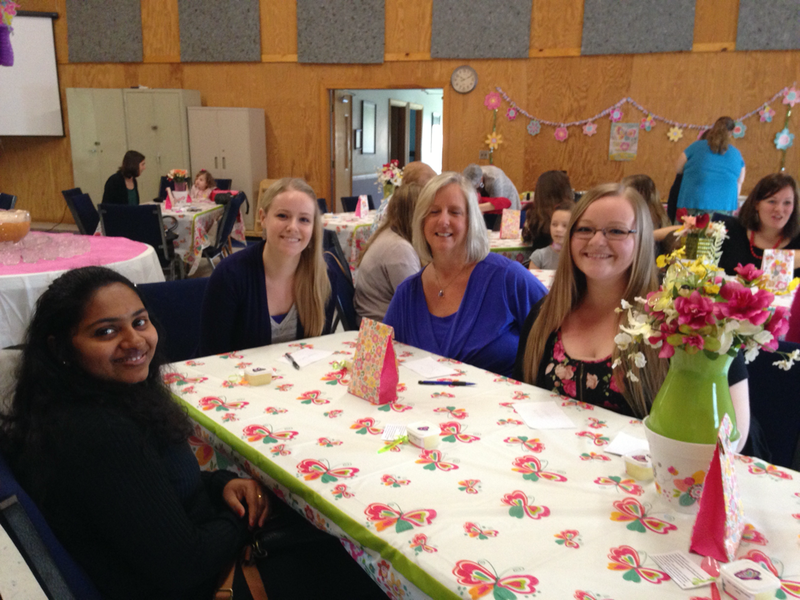 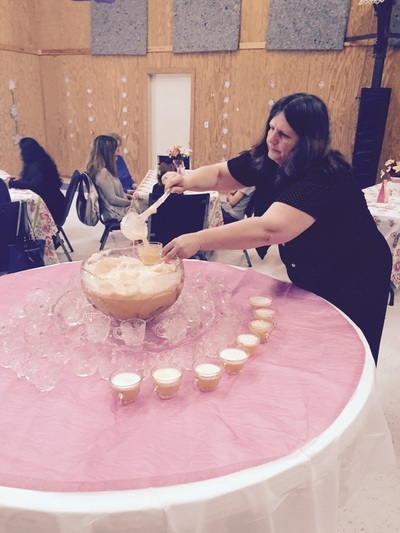 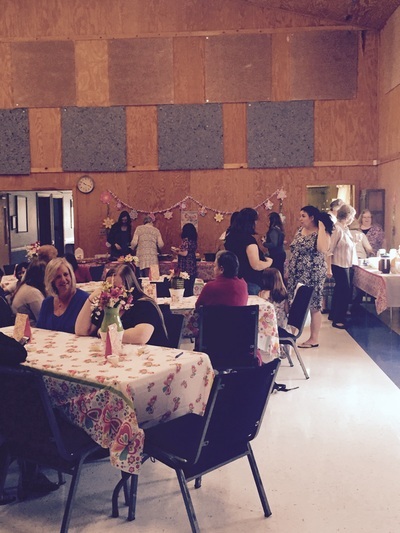 ​On Saturday, May 7, 2016 at 10:00 am the ladies of Hanover Baptist Church came together to enjoy a time of food, fellowship and devotions at our annual Mother's Day Brunch. 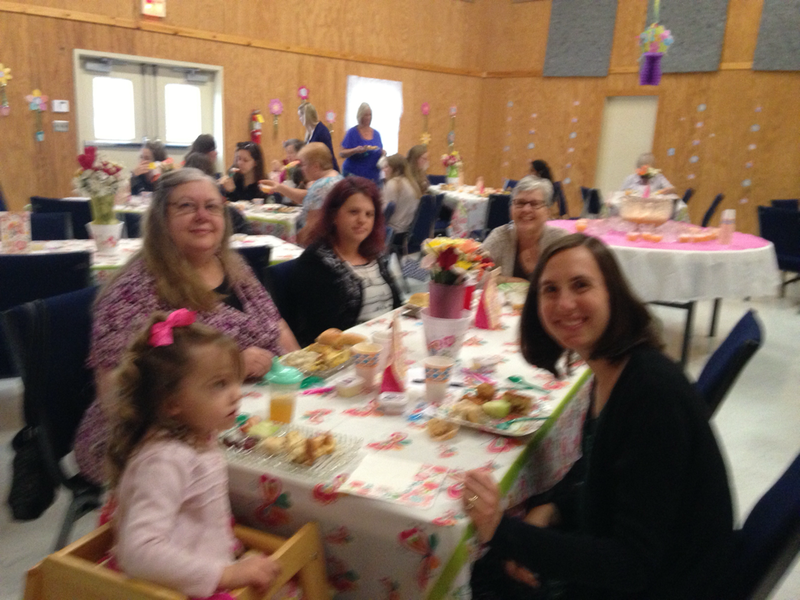 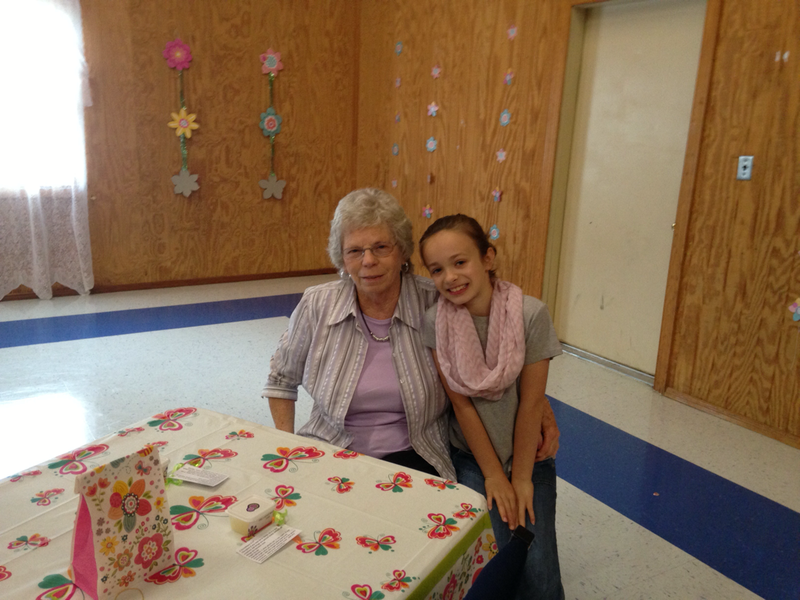 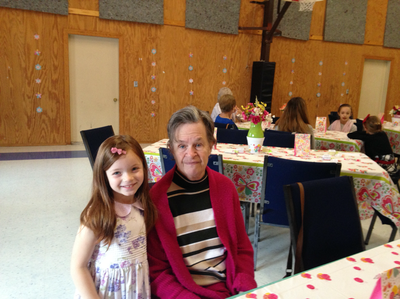 The brunch was organized this year by Diana Oakley with the assistance of her granddaughter, Gracie, and many helpful ladies. 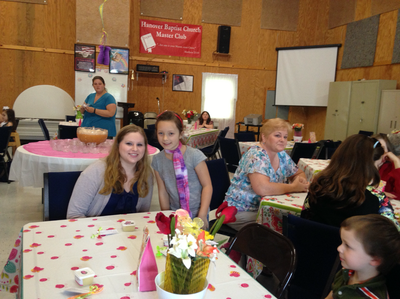 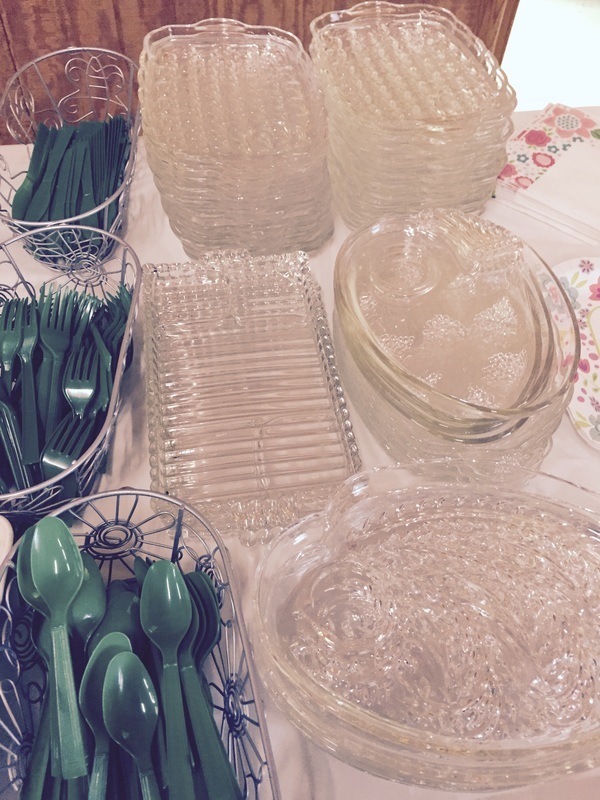 The theme for the Mother's Day Brunch was "A New Beginning." The room was decorated with lovely spring flowers, as you can see in the pictures. 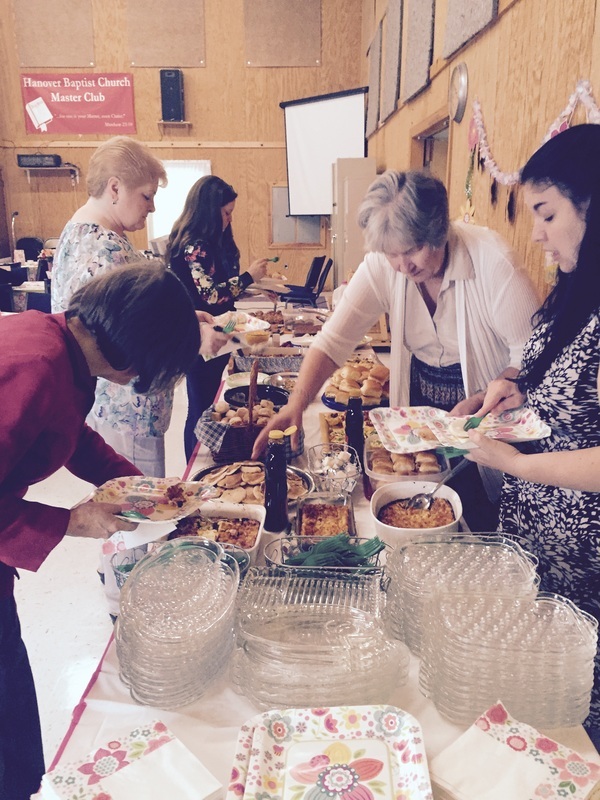 We enjoyed an abundance of delicious brunch food with everything from gravy biscuits (thank you, Mrs. 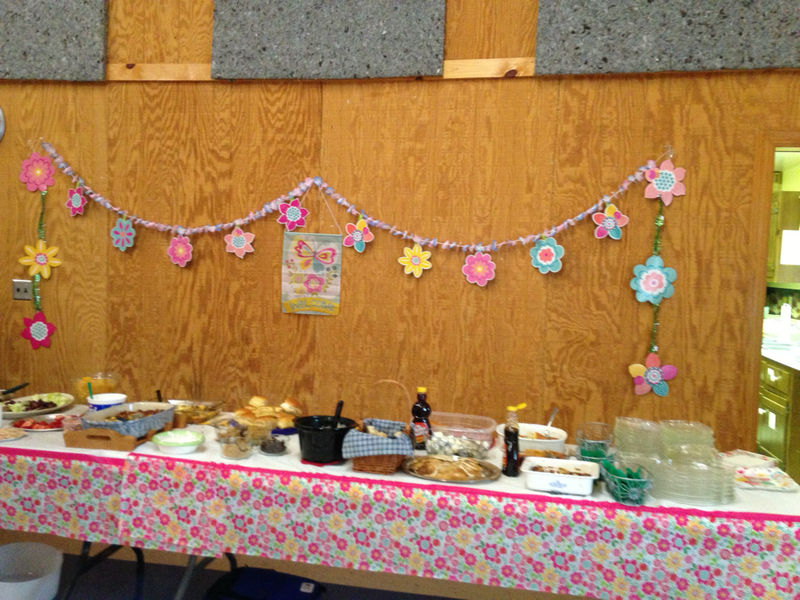 Hatcher!) to baked oatmeal (thank you Mrs. MacAvoy!) 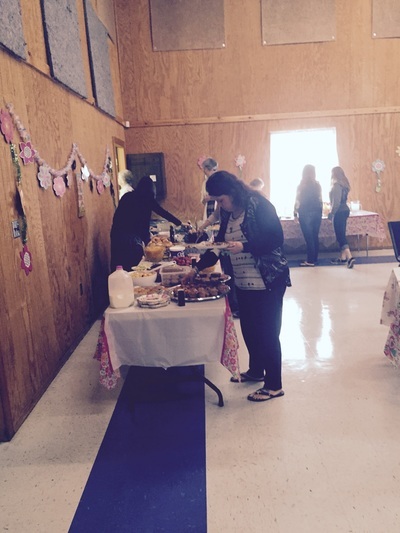 and even pancakes (thank you Mrs. 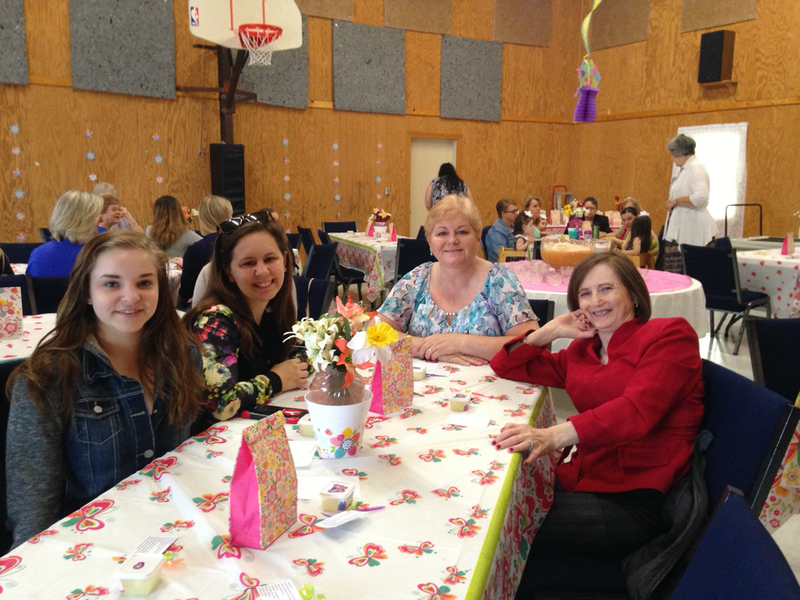 Cole!) We also indulged ourselves with fruit, muffins, and pastries of every kind. We played a funny game of Family Feud and enjoyed laughter and fellowship with one another. 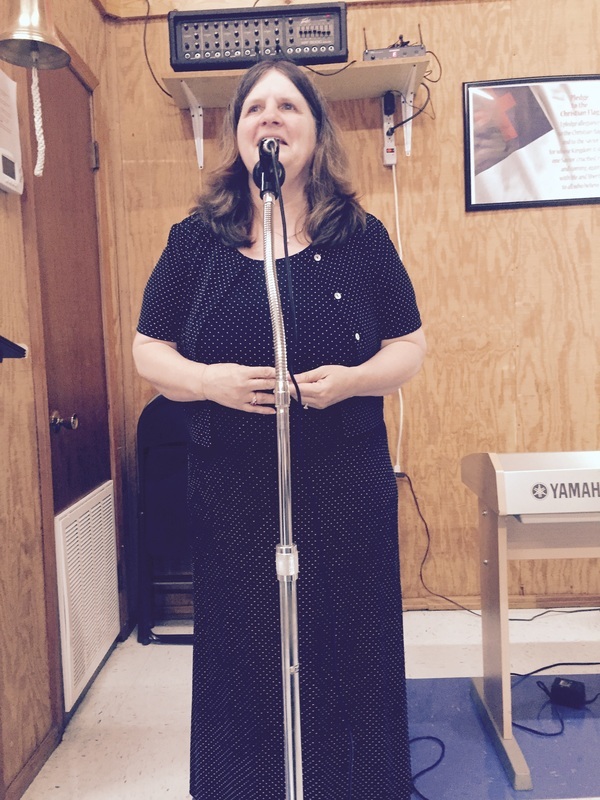 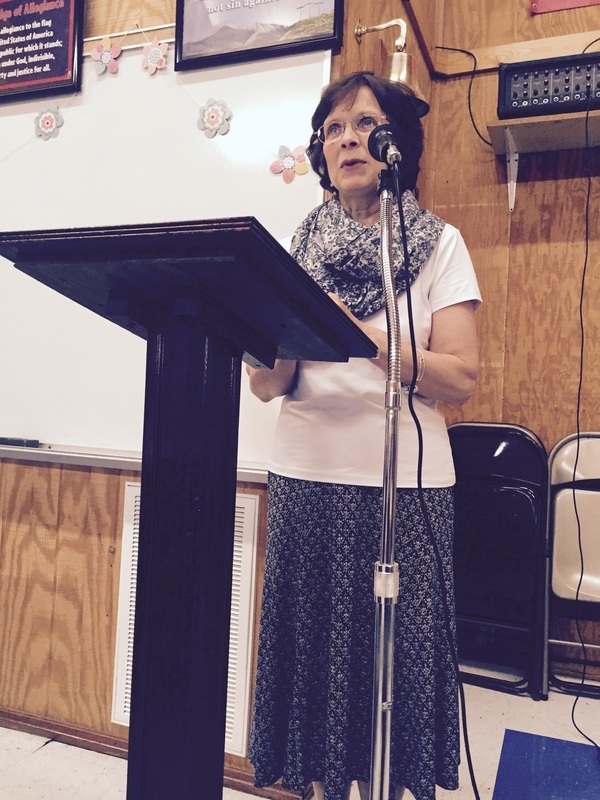 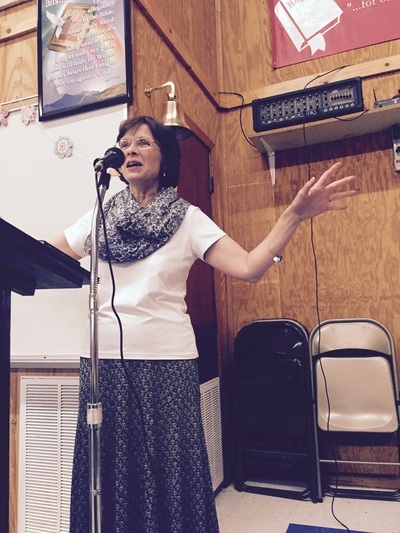 The highlight of our get-together was the lovely devotion by Janice MacAvoy. 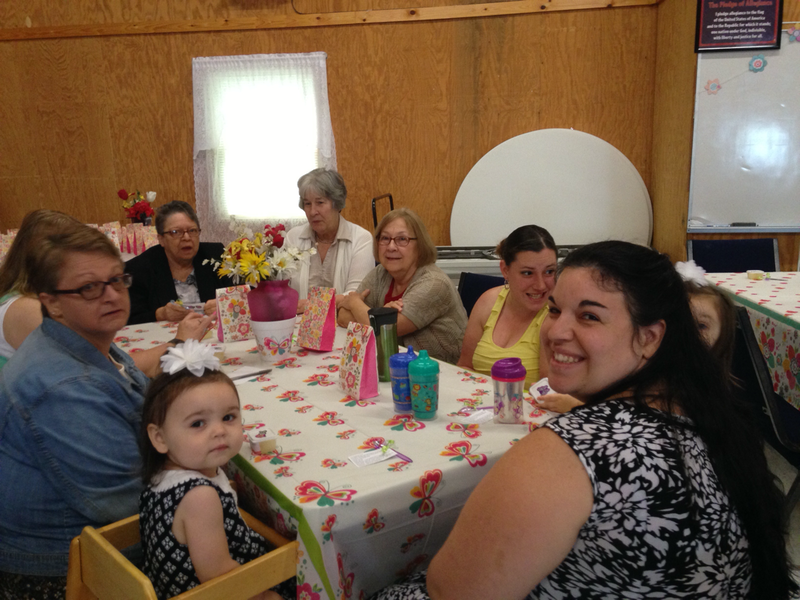 We enjoyed hearing God's Word and lovely thoughts about building a relationship with God a little at a time such as a house is built little by little, not all at once. The Mother's Day brunch was a great get together and we hope that every attendee's heart was blessed and encouraged with the prospect of a "New Beginning in Christ."